Master of science, Royal Institute of Technology, Stockholm, Sweden 1969. PhD, Paper Technology, Royal Institute of Technology, 1981. Thesis. Fellers C (1980). The significance of structure on the compression behavior of paper. Stenberg, N., Fellers, C. and Östlund, S., “Measuring stress-strain properties of paperboard in the thickness direction”, J. Pulp and Paper Sci. 27(6): 213-221 (2001). The Johannes A. 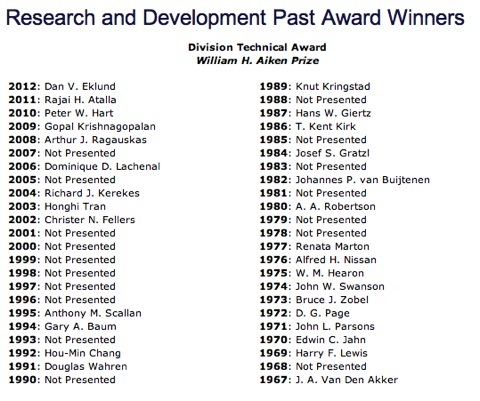 Van den Akker Prize recognizes outstanding written publications in the field of paper physics. The Prize is awarded by TAPPI Paper Physics Committee, and funded from an endowment developed and administered by the Institute of Paper Science and Technology. 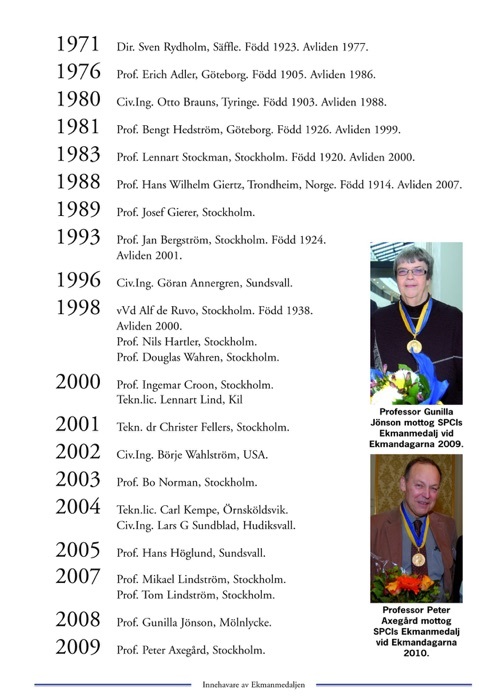 It was established in the year 2000 to honor the distinguished research and teaching contributions of J. A. Van den Akker, a long time faculty member of the Institute of Paper Science and Technology and TAPPI Gold Medalist. 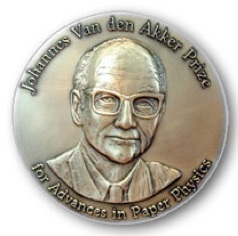 The Van den Akker Prize for Paper Physics is awarded annually to the author[s] of the best paper published in the area of fiber and paper physics during the proceeding calendar year. It is intended to recognize publications that make a significant contribution to the field of paper physics. I have devoted my scientific career to providing the paper industry with relevant and well-defined methods for testing the mechanical properties of paper. Hold a patent on drying, has worked on the mechanical properties of paper and is the author or co-author of several publications in the field of paper physics. An early example was the development of the method for measuring the compression strength of, in particular, liner and linerboard (the STFI Short-span Compression Test – SCT, often simply called “STFI” world-wide). The method has been accepted all over the world, and has enabled the paper industry to optimize production and material consumption in a way that was not previously possible. Works cover the accurate determination of the bending stiffness of paper and corrugated board, Interlaminar shear properties, Local thickness and density, Friction, Biaxial strength, Creep in compression, Curl and twist determination, and Mechano-sorptive creep. Other significant research has been in the field of modern fracture mechanics on paper which has resulted in the development of an apparatus and a new way of looking at problems related to web-breaks in paper production and printing. Also, the development of friction testing equipment lead to an ISO method and several publications. Tappi. T 836 pm-95 (1995) Bending stiffness, four point method. SCAN-P 88:01 (2001). Paper and board. Structural thickness and structural density. SCAN-P 90:03(2003). Paper and board. Z-directional toughness. SCAN-P 67:93 (1993). Pulps, papers and boards. Tensile strength, strain at break, tensile energy absorption and tensile stiffness. Constant rate of elongation method (1,7 mm/s). SCAN-P 77:95 (1995). Papers and boards. Fracture toughness. Constant rate of elongation method (1,7 mm/s). SCAN-P 65:91(1991). Corrugated fibreboard and boards. Bending stiffness, four point method. ISO 11 556 (1998). Paper and board. Determination of curl using a single vertically suspended test piece. Fellers C, de Ruvo A, Htun M, Carlsson L, Engman C, Lundberg R (1983). Carton Board. Profitabel Use of Pulps and Processes, Stockholm, Sweden. Fellers C, Norman B (1998). Paper Technology (Pappersteknik, Swedish), Stockholm, Sweden. Fellers C, Hansson T, Htun M (1985). Method and device for preventing cross direction web shrinkage in the drying section of papermachine. (Various patents). Htun M, Fellers C (1986). The in-plane anisotropy of paper in relation to fiber orientation and drying restraints. Eds: Bristow J A and Kolseth P. Marcel Dekker: 327-345. Fellers C, Andersson H, Hollmark H (1986). The definition measurement of thickness and density. Eds: Bristow J A and Kolseth P, Marcel Dekker: 151-167. Bristow J A, Htun M, Fellers C, Rigdahl M (1987). Invariant Properties of Anisotropic Sheets: Comments on a paper by Batten and Nissan. Hasuike M, Johansson P-Å, Fellers C, Terland O (1987). Fiber orientation and its relation to paper formation studied by image analysis. International Paper Physics Conference, Mont-Rolland, Canada: 185-188. Schultz-Eklund O, Fellers C, Johansson P-Å (1992). Method for the local determination of the thickness and density of paper. Nordic Pulp and Paper Research Journal 7(3): 133-139, 154. Fellers C, Wellmar P, Kolseth P (1995). Unified symbols for expressing properties of paper. Lif J, Wikström M, Fellers C, Rigdahl M (1997). 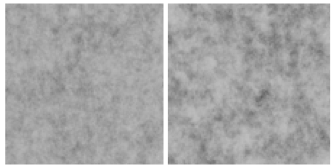 Deformation of the paper structure during calendering as measured by electronic speckle photography. Journal of Pulp and Paper Science 23(10): J481-J486. Östlund M, Östlund S, Carlsson L, Fellers, C (2002). Experimental determination of residual stresses in paperboard. Progress in Paper Physics Seminar, Finger lake/Syracuse, N.Y. USA. 8-13 September: 180. Östlund M, Östlund S, Carlsson L A, Fellers C (2003). 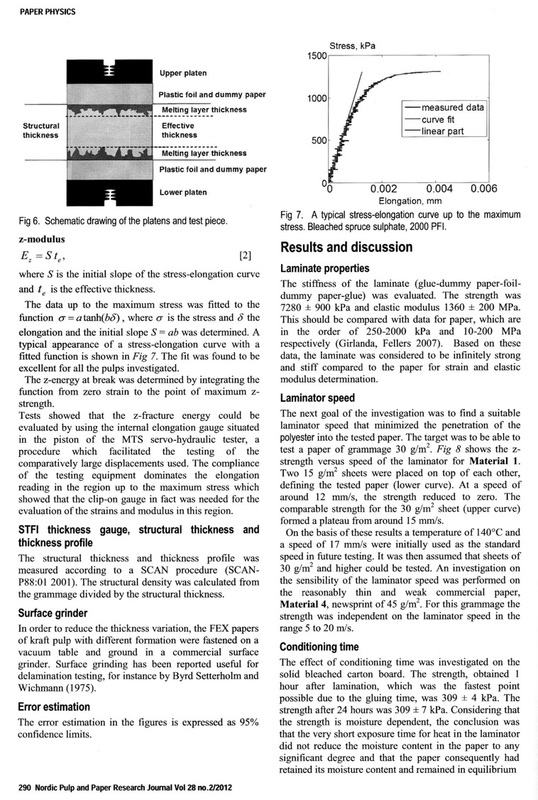 Residual stresses in paperboard and the influence of drying conditions. International Paper Physics Conference, Victoria, British Columbia, Canada: 165-168. Östlund M, Östlund S, Carlsson L, Fellers C (2004). The influence of drying conditions on residual stress build-up in paperboard. Journal of Pulp and Paper Science. 30: 312-316. The influence of drying restraints and beating degree on residual stress build-up in paperboard. Journal of Pulp and Paper Science. 30: 289-293. Östlund M, Östlund S, Carlsson L, Fellers C (2005). Journal of Pulp and Paper Science. 31: 197-208. The structure of paper and its modelling. Pulp and Paper Chemistry and Technology 4 - Paper Products, Physics and Technology. Eds: Monica Ek, Göran Gellerstedt, Gunnar Henriksson, Berlin. de Gruyter: 1-24. Eds: Monica Ek, Göran Gellerstedt, Gunnar Henriksson, Berlin. de Gruyter: 25-67. Eds: Monica Ek, Göran Gellerstedt, Gunnar Henriksson, Berlin. de Gruyter: 287-314. Cavlin S, Fellers C (1975). A new method for measuring the edgewise compression properties of paper. Fellers C, Jonsson P (1975). Compressive strength of linerboard and fluting- an analysis of testing methods. (In Swedish: Kompressionshållfasthet hos liner och fluting – en analys av provningsmetoder). Cavlin S, Engman C, Fellers C, Lundberg R, de Ruvo A (1975). Viskoelastische Characterisierung des Bruchmechanismus bei Kompression von Papier. Fellers C, de Ruvo A, Elfström J, Htun M (1980). Edgewise compression properties. A comparison of handsheets made from pulps of various yields. Edgewise compression strength of paper. Handbook of Mechancial and Physical Testing of Paper and Paperboard. Ed; Mark R E, Marcel Dekker: 349-383. Fellers C, Bränge Å (1985). The impact of water sorption on the compression strength of paper. Fundamental Research Symposium, Oxford, England: 529-539. The significance of structure for the compression behaviour of paperboard. Eds: Bristow J A and Kolseth P, Marcel Dekker: 281-310. Fellers C, Donner B (2002). Handbook of Mechanical and Physical Testing of Paper and Paperboard. Eds: Mark R E, Habeger C, Borch J and Lyne B. New York, Basel, Marcel Dekker: 481-525. Considine J M, Gunderson D E, Thelin P, Fellers C (1989). Compressive creep behaviour of paperboard in a cyclic humidity environment – exploratory experiment. Söremark C, Fellers C (1992). Creep of corrugated board in cyclic humidity – interpretation and a model. 1st International Symposium. Cyclic Humidity Effects on Paperboard Packaging, Madison, Wisconsin, USA: 49-77. Haraldsson T, Fellers C, Kolseth P (1992). Modelling of creep behaviour at constant relative humidity. 2nd International Symposium. Moisture Induced Creep Behaviour of Paper and Board, Stockholm, Sweden: 139-147. Assessing cyclic creep behaviour of different paper grades. 2nd International symposium. Cyclic Humidity Effects on Paperboard Packaging, Stockholm, Sweden: 275-285. Söremark C, Fellers C (1993). Mechano-sorptive creep and hygroexpansion of corrugated board in bending. Journal of Pulp and Paper Science 19(1): J19-J26. Haraldsson T, Fellers C, Kolseth P (1993). The edgewise compression creep of paperboard. Fundamental Research Symposium, Oxford, England: 601-637. Söremark C, Fellers C, Henriksson L (1993). Mechano-sorptive creep of paper – influence of drying restraint and fibre orientation. Fundamental Research Symposium, Oxford, England: 547-574. Haraldsson T, Fellers C, Kolseth P (1994). 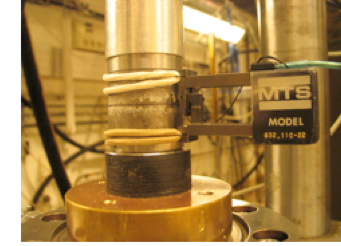 A method for measuring the creep and stress-strain properties of paperboard in compression. Journal of Pulp and Paper Science 20(1): J14-J20. Salmén L, Fellers C (1996). Moisture-induced transients and creep of paper and nylon 6,6. Nordic Pulp and Paper Research Journal 11(3): 186-191. Haraldsson T, Fellers C, Söremark C (1997). Creep properties of paper – Principles of evaluation. Fellers C, Haraldsson T, Mohlin U-B (1999). Mechano-sorptive creep in compression- influence of fibre shape and sheet structure. 4th International Symposium. Moisture and Creep Effects on Paperboard and Containers, Grenoble, France: 165-172. Coffin D, Fellers C (2001). Encyclopedia of Materials: Science and Technology, Elsevier Science Ltd.
Panek J, Fellers C (2001). Effect of relative humidity cycles on the mechano-sorptive creep stiffness. 5 rd International Symposium. Moisture and Creep Effects on Paperboard and Containers, Marysville, Australia: 148. Mechano-sorptive creep-importance for packaging papers. The 29th International Seminar on Pulping and papermaking Technology. Seoul, Korea: 37-86. Fellers C, Panek J, Retulainen E, Haraldsson T (2003). Condebelt drying and linerboard performance. Panek J, Fellers C, Haraldsson T (2004). Principles of evaluation for the creep of paperboard in constant and cyclic humidity. Nordic Pulp and Paper Research Journal 19(2): 155-163. Fellers C, Panek J, Retulainen E, Haraldsson T (2005). 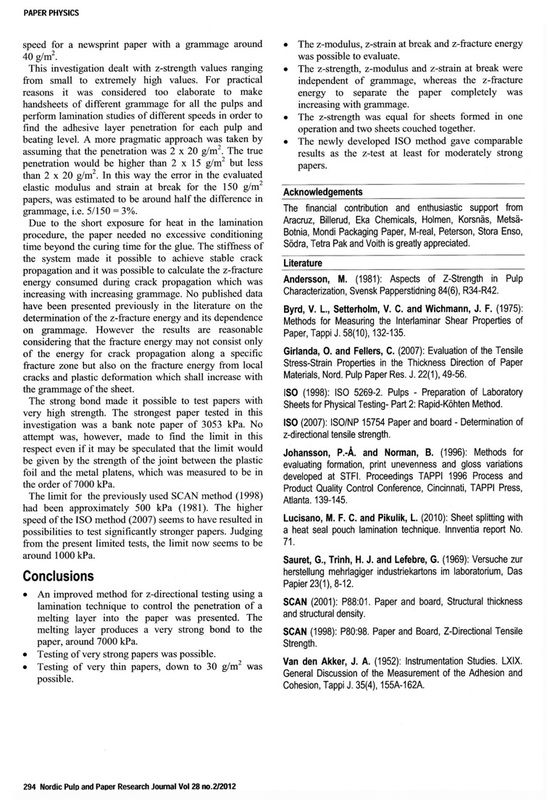 Nordic Pulp and Paper Research Journal 20(1): 87-92. 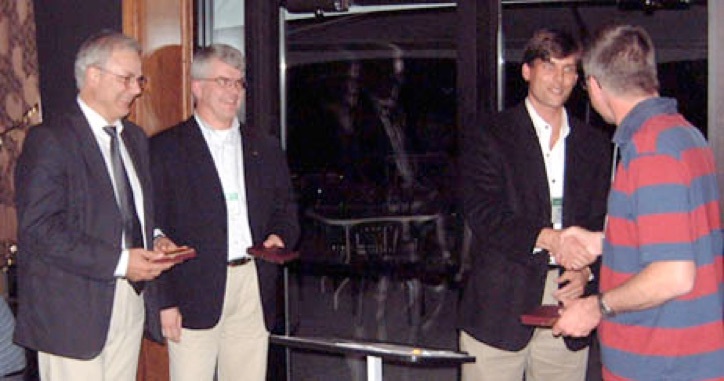 Panek J, Fellers C, Haraldsson T, Mohlin U-B (2005). Effect of fibre shape and fibre distortions on creep properties of kraft paper in constant and cyclic humidity. Fundamental Research Symposium, Cambridge, England: 777-796. Fellers C, Olsson A-M, Mähler A, Lason L (2009). Formation and edgewise compressive creep properties. 6 rd International Symposium: Moisture and Creep Effects on Paper, Board and Containers, Madison, USA: 32. Salmen L, Olsson A-M, Fellers C (2009). Wood fibres indeed show mechano-sorptive creep. 6 rd International Symposium: Moisture and Creep Effects on Paper, Board and Containers, Madison, USA: 97. Lif J, Fellers C, Östlund S (1997). In-plane viscoelasticity of paper – Interconversion from frequency domain to the time domain. 3rd International Symposium. Moisture and Creep Effects on Paperboard and Containers. Rotorua, New Zealand: 85-97. Lif J, Östlund S, Fellers C (1998). Determination of linear viscoelastic material properties for web mechanics in printing presses. 4th International Conference on Web Handling, Stillwater, Oklahoma, USA: 544-558. Lif J, Fellers C (1999). In-plane viscoelasticity of paper in the frequency domain. 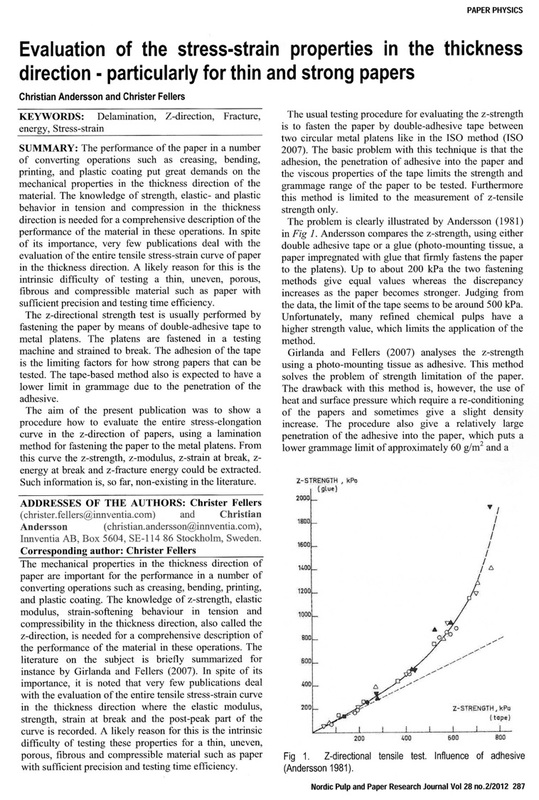 Nordic Pulp and Paper Research Journal 14(1): 82-91. Lif J, Östlund S, Fellers C (1999). Analysis of time and moisture dependent stresses and strains in paper web mechanics. International Paper Physics Conference, San Diego, USA: 1-17. Mechanics of Time Dependent Materials (2): 245-267. Fellers C, Coffin D (2001). Encyclopedia of Materials: Science and Technology, Elsevier Science Ltd.: 6720-6725. Coffin D, Fellers C, Lif J (2001). The difference between static and sonic moduli of paper and the effect of moisture content on this difference. 5th International Symposium Moisture and Creep Effects on Paper, Board and Containers, Marysville, Australia: 150. Coffin D, Lif J, Fellers C (2003). Tensile and ultrasonic stiffness of paper at different moisture - a clarification of the differences. International Paper Physics Conference, Victoria, British Columbia, Canada: 47-54. Coffin D, Lif J, Fellers C (2004). Tensile and ultrasonic stiffness of paper at different moistures - a clarification of the differences. Nordic Pulp and Paper Research Journal 19(2): 257-263. Lif J, Östlund S, Fellers C (2005). In-plane hygro-viscoelasticity of paper at small deformations. Nordic Pulp and Paper Research Journal. 20: 139-149. Antonsson S, Mäkelä P, Fellers C, Lindström M E (2009). Comparison of the physical properties of hardwood and softwood pulps. Nordic Pulp and Paper Research Journal 24(4): 409-414. Lindström T, Fellers C, Ankerfors M, Glad Nordmark G (2012). 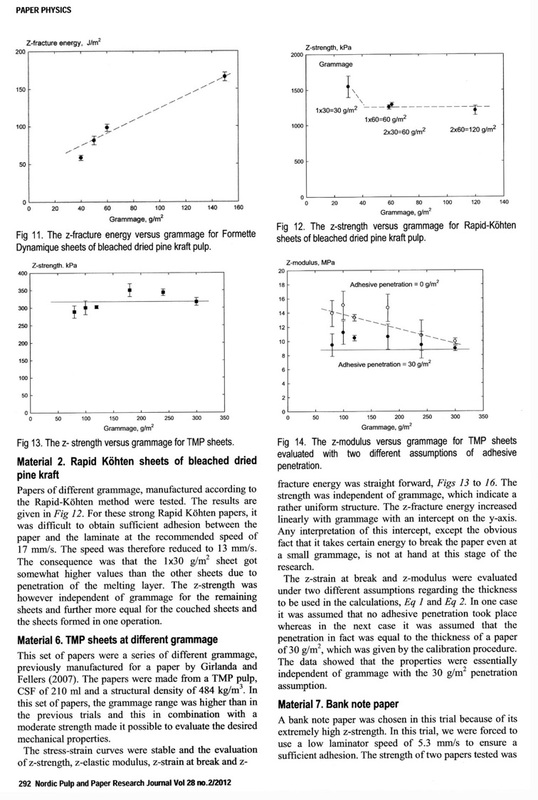 The effects of various chemical treatments on fibre-fibre joint strength in paper. 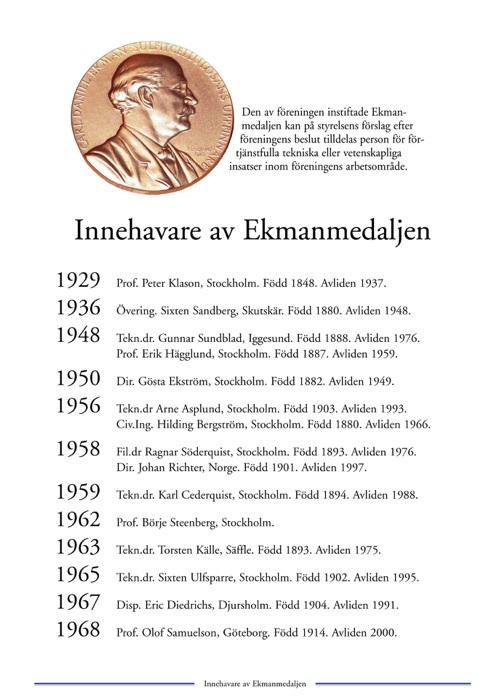 8the InternationalPaper and Coating Chemistry Symposium, Stockholm, 8-10.
de Ruvo A, Carlsson L, Fellers C (1980). The biaxial strength of paper. Fellers C, Westerlind B, de Ruvo A (1983). An investigation of the biaxial failure envelope of paper – experimental study and theoretical analysis. Fundamental Research Symposium, Cambridge, England : 527-559. Fellers C, Carlsson L (1979). Mesuring the pure bending properties of paper. Carlsson L, Fellers C, de Ruvo A (1980). The mechanism of failure in bending of paperboard. Journal of Materials Science 15: 2636-2642. Carlsson L, Fellers C (1980). 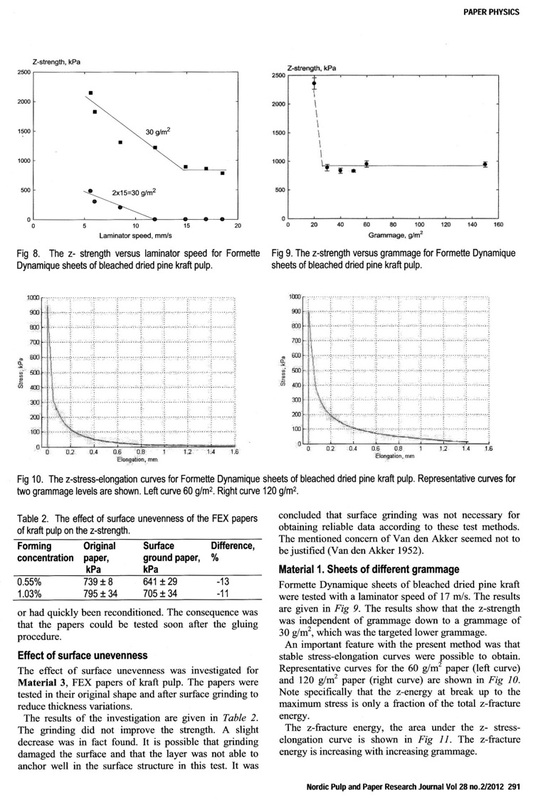 Flexural stiffness of multi-ply paperboard. Fibre Science and Technology 13: 213-223. Carlsson L, Fellers C, Westerlind B, Bäcklund J (1982). Finite element analysis of the creasing and bending of paper. Carlsson L, de Ruvo A, Fellers C (1983). Bending properties of creased zones of paperboard related to interlaminar defects. Journal of Material Science 18: 1365-1373. Fellers C, Carlsson L (1983). Bending stiffness, with special reference to paperboard. Handbook of Physical and Mechanical Testing of Paper and Paperboard. Ed: Mark R E: 323-347. Carlsson L, Fellers C, Jonsson P (1985). Die Biegesteifigkeit von Wellpappe unter besonderer Berücksichtigung asymmetrischer und mehrlagiger Konstruktionen. Bending stiffness of paper and paperboard – a round robin study. Nordic Pulp and Paper Research Journal (1): 42-45. Fellers C, Carlsson L (2002). Handbook of physical and mechanical testing of paper and paperboard. Eds: Mark R E, Habeger C, Borch J. and Lyne B. New York, Basel, Marcel Dekker: 233-256.
de Ruvo A, Fellers C (1978). The influence of raw material and design on the mechanical performance of boxboard. de Ruvo A, Fellers C (1983). Delamination problems related to carton board. The 29th International Seminar on Pulping and papermaking Technology. Seoul, Korea: 1-36. Henriksson L, Bredemo R, Fellers C, Stubbfält G (2007). Mechanical properties of paper and their relation to packaging performance. International Paper Physics Conference, Appita Annual Conference and Exhibition Gold Coast, Australia: 305-312. Scientific characterization of European corrugated board materials. SP2-Sustainpack Seminar, San Zeno, Verona, Italy. 18 April. Procedure for measuring the interlaminar shear properties of paper. Schultz-Eklund O, Fellers C, Olofsson G (1987). Z-toughness. A new method for the determination of the delamination resistance of paper. International Paper Physics Conference, Mont-Rolland, Canada: 189-191. Stenberg N, Fellers C, Östlund S (1999). Measuring the stress-strain properties of paperboard in the thickness direction. International Paper Physics Conference, San Diego, USA: 29-44. Stenberg N, Fellers C, Östlund S (2001). Journal of Pulp and Paper Science 27(6): 213-221. Journal of Engineering Materials and Technology 123(4): 184-190. Lundh A, Fellers C (2001). 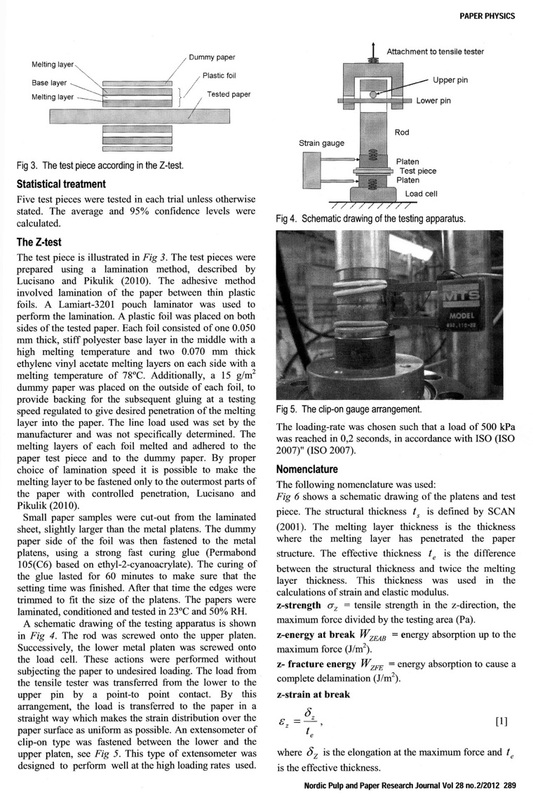 The Z-toughness method for measuring the delamination resistance of paper. Nordic Pulp and Paper Research Journal 16(4): 298-305. Stenberg N, Fellers C (2002). Out-of-plane Poisson's ratios of paper and paperboard. Nordic Pulp and Paper Research Journal 17(4): 387-394. Lundh A, Fellers C (2004). A method for determination of delamination toughness in different positions in the thickness direction of paperboard. Nordic Pulp and Paper Research Journal 19(2): 224-228. 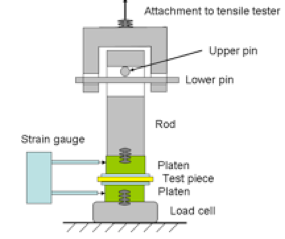 Evaluation of the Tensile Stress-Strain Properties in the Thickness Direction of Paper Materials. Nordic Pulp and Paper Research Journal 22(1): 49-56. Measuring out-of-plane shear properties of paperboard. Journal of Pulp and Paper Science 33(2): 105-109. Delamination position in multiply paperboard achieved by different testing methods. Modelling of delamination in paperboard during sheet offset printing. Nygårds M, Fellers C, Östlund S (2009). Development of the nothed shear test. Fundamental Research Symposium, Oxford, England: 877-897. Fellers C, Östlund S, Mäkelä P (2012). Evaluation of the Scott bond test method. Nordic Pulp and Paper Research Journal 27(2): 231-236. (International Paper Physics Conference, Stockholm, Sweden). Fellers C, Andersson C (2012). 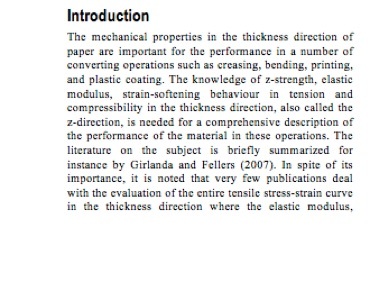 Evaluation of the stress-strain properties in the thickness direction – particularly for thin and strong papers. Nordic Pulp and Paper Research Journal 27(2): 287-294. (International Paper Physics Conference, Stockholm, Sweden). Steadman R, Fellers C (1987). Fracture toughness characterization of papers at different climates. International Paper Physics Conference, Mont-Rolland, Canada: 173-176. Fellers C, Fredlund M, Wågberg P (1992). Die-cutting toughness and cracking of corrugated board. Bruchzähigkeit – Eine neue Methode zur Characterisierung von Papier. Åström A, Nordström A, Rost T, Fellers C (1993). Fracture toughness as a pulp characterization method for runnability assessement of paper. Fundamental Research Symposium, Oxford, England: 807-823. Fracture toughness a new paper property. L&W Handbook. Paper Testing and Process Optimization: 100-105. A step closer to preventing web breaks. L&W Handbook. Paper Testing and Process Optimization: 120-123. Wellmar P, Fellers C, Nilsson F, Delhage L (1997). Crack tip characterization in paper. Journal of Pulp and Paper Science 23(6): J269-J276. Wellmar P, Fellers C, Delhage L (1997). 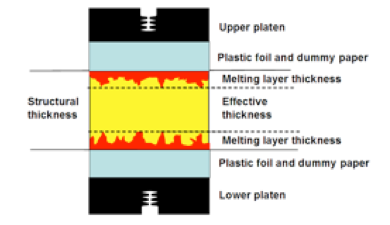 Fracture toughness of paper – development of a test method. Nordic Pulp and Paper Research Journal 12(3): 189-195. Fracture toughness – A step closer to preventing web breaks. L&W Handbook. Paper Testing and Process Optimization: 114-115. Fellers C, Melander J, Mohlin U-B (1999). Fracture mechanics – A tool for evaluating the effect of reinforcement pulps in mechanical pulps. International Paper Physics Conference, San Diego, USA: 145-153. Wellmar P, Gregersen Ö, Fellers C (2000). Predictions of crack growth initiation in paper structures using a J-integral criterion. Nordic Pulp and Paper Research Journal 15(1): 4-11. Larsson K-J, Fellers C (2001). STFI: Tear strength – of doubtful value (in Swedish: Rivstyrka – av svagt värde?). Papper & Massa 1(1): 44. Melander J, Fellers C, Mohlin U-B (2001). Fracture mechanics- A tool for evaluating the effect of reinforcement pulps in mechanical pulps. Nordic Pulp and Paper Research Journal 16(4): 257-260. Fracture mechanics: Has this been useful. Sundsvall, Sweden: no page numbers. Mäkelä P, Fellers C (2012). An analytic expression for determination of fracture tougness of paper materials. Nordic Pulp and Paper Research Journal 27(2): 252-360. (International Paper Physics Conference, Stockholm, Sweden). Carlsson L, Fellers C, Htun M (1980). Curl and two-sidedness of paper. Salmén L, Carlsson L, de Ruvo A, Fellers C, Htun M (1984). A treatise on the elastic and hygroexpansional properties of paper by a composite laminate approach. Fibre Science and Technology 20(4): 283-296. Salmén L, Fellers C, Htun M (1985). The in-plane and out-of-plane hygroexpansional properties of paper. Fundamental Research Symposium, Oxford, England: 511-527. Fellers C, Salmén L, Htun M (1986). Eriksson L E, Cavlin S, Fellers C, Carlsson L (1987). Curl and twist of paperboard – theory and measurement. 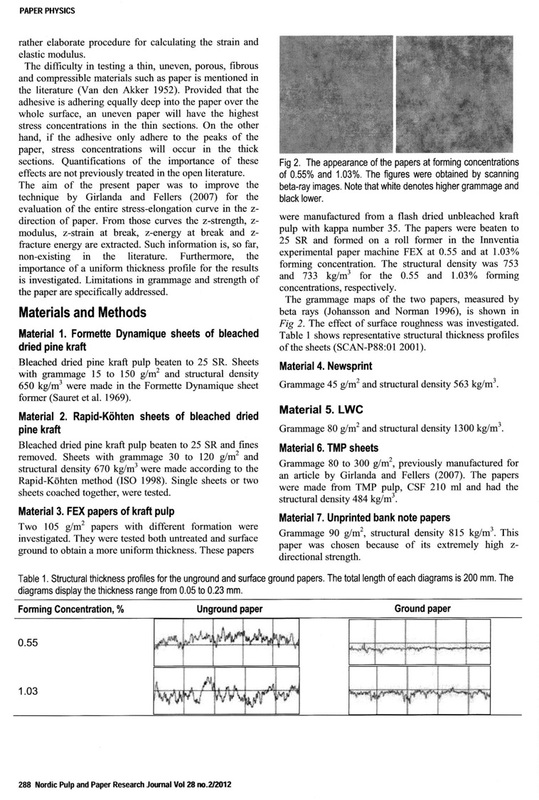 Nordic Pulp and Paper Research Journal 2(2): 66-70. Salmén L, Boman R, Fellers C, Htun M (1987). The implications of fiber and sheet structure for the hygroexpansivity of paper. Nordic Pulp and Paper Research Journal 2(4): 127-131. Salmén L, Fellers C, Htun M (1987). The development and release of dried-in stresses in paper. Nordic Pulp and Paper Research Journal 2(2): 44-48. Salmén L, Fellers C (1989). The nature of volume hygroexpansivity of paper. Journal of Pulp and Paper Science 15(2): J63-J65. Lyne Å, Fellers C, Kolseth P (1994). Three-dimensional hygroexpansivity of unfilled and filled laboratory made fine papers. Lif J, Fellers C, Söremark C, Sjödahl M (1995). Characterizing the in-plane hygroexpansivity of paper by electronic speckle photography. Journal of Pulp and Paper Science 21(9): J302-J309. Lyne Å, Fellers C, Kolseth P (1996). The effect of filler on hygroexpansivity. Nordic Pulp and Paper Research Journal 11(3): 152-163. The interaction of paper with vapour. Eds: Monica Ek, Göran Gellerstedt, Gunnar Henriksson, Berlin. de Gruyter: 109-143. Htun M, de Ruvo A, Fellers C (1985). The dynamic mechanical behaviour of paper during drying. Journal of Applied Polymer Science 30: 1597-1604. Htun M, Hansson T, Fellers C (1987). (The influence of drying on the mechanical properties of paper). Hansson T, Fellers C, Htun M (1989). 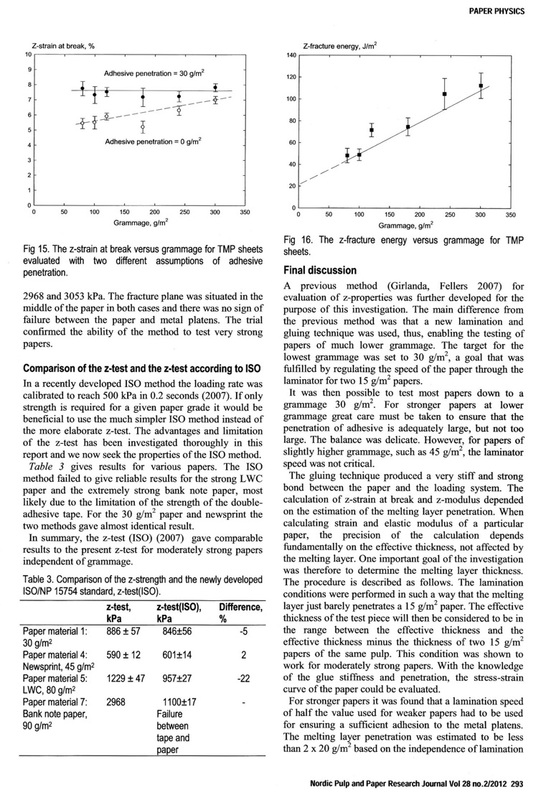 Drying strategies and a new restraint technique to improve cross-directional properties of paper. Fundamental Research Symposium, Cambridge, England: 743-781. Wahlström T, Fellers C (1998). Biaxial straining of handsheets during drying – Effect on in-plane mehcanical properties. Tappi Engineering Conference, Miami, Florida, USA: 1055-1067. Wahlström T, Adolfsson K, Östlund S, Fellers C (1999). Numerical modelling of the cross direction shrinkage profile in a dryer section, a first approach. International Paper Physics Conference, San Diego, USA: 517-531. Wahlström T, Lund A, Hansson T, Fellers C (1999). Biaxial straining of handsheets during drying – Effect on delamination resistance. International Paper Physics Conference, San Diego, USA: 97-107. Wahlström T, Fellers C, Htun M (2000). Laboratory method for biaxial straining of paper during drying. Wahlström T, Fellers C (2000). Biaxial straining of handsheets during drying – Effect on in-plane mechanical properties. Wahlström T, Lund A, Hansson T, Fellers C (2000). Nordic Pulp and Paper Research Journal 15(1): 237-242. Fellers C, g J, Retulainen E, Haraldsson T (2003). Persson M, Wahlström T, Fellers C, Beghello L (2003). Modelling immediate curl in paperboard. International Paper Physics Conference, Victoria, British Columbia, Canada: 259-267. 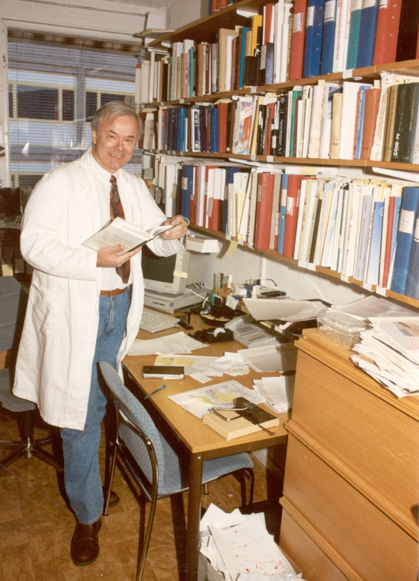 Johansson A, Fellers C, Gunderson D, Haugen U (1995). Paper friction – Influence of measurement conditions. International Paper Physics Conference, Niagara-on-the-Lake; Canada: P5-P15. Fellers C, Bäckström M, Htun M, Lindholm G (1998). Paper-to-paper friction – Structure and moisture. Nordic Pulp and Paper Research Journal 13(3): 225-232. Johansson A, Fellers C, Gunderson D, Haugen U (1998). Tappi Journal 81(5) 175-183, Correction 81(9): 13. Bäckström M, Fellers C, Htun M (1999). The influence of kappa number and surface energy on paper-to-paper friction. Nordic Pulp and Paper Research Journal 14(3): 204-208. Garoff N, Jernberg S, Nilvebrant N-O, Fellers C, Bäckström M (1999). The influence of wood extractives in paper-to-paper friction. Nordic Pulp and Paper Research Journal 14(4): 320-329. The influence of wood extractives on paper-to-paper friction. International Paper Physics Conference, San Diego, USA: 479-490. Nilvebrant N-O, Garoff N, Fellers C (1999). Paper-to-paper friction caused by wood extractives on the paper surface is determined by length and order of the hydrocarbon chains. Pre-symposium for the 10th ISWPC, Seoul, Korea: 204-208. Garoff N, Nilvebrant N, Fellers C (2002). Friction of linerboard based on recycled fiber. Journal of Applied Polymer Science. 85: 1511-1520. Garoff N, Fellers C, Nilvebrant N (2004). Pulp and Paper Technology, Autumn 2004: 37-41. Salmén L, Fellers C (1982). The fundamentals of energy consumption during viscoelastic and plastic deformation of wood. Canadian Pulp and Paper Association, Technical Section, Transactions 83(12): TR93-TR99. Salmén L, Tigerström A, Fellers C (1985). Fatigue of wood – Characterization of mechanical defibration. Journal of Pulp and Paper Science 11(3): J68-J73. 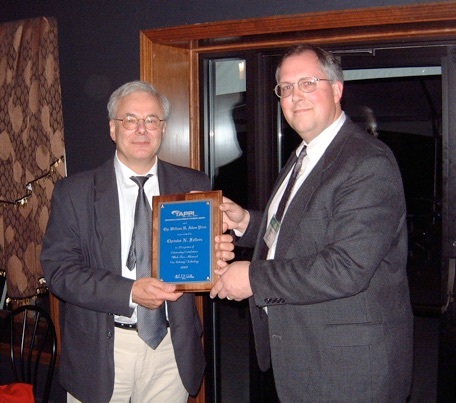 Christer Fellers is awarded the 2002 TAPPI Research and Development Division Award and Aiken Prize by Jeff Suhling. The investigation solves an old problem and is the result of about 40 years research.